The showroom of Klingberg Motorcar Festival Sponsors, Lombardo Motorcars, with its racing-style checkerboard floor, is filled with collector cars for sale, of a variety of decades, styles, and makes. 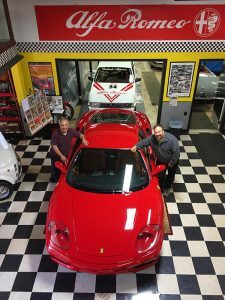 Peter and Paul Lombardo, brothers and co-owners, manage all aspects of the business, from mechanical work to sales. Their passion for high-quality and interesting cars is evidenced by the vehicles on display, each one uniquely beautiful. 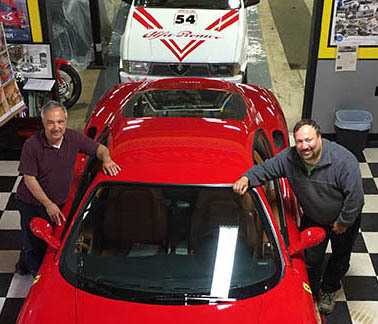 An interest in automobiles runs in the Lombardo family. Peter Lombardo, Sr., took his sons to the Belltown Antique Car Show when they were young, and uncles gave them rides in their Corvettes and on motorcycles. They grew up helping in the family’s trash business, Trash-Away, and learned mechanics by working on their dad’s trucks, which they describe as “basically giant cars.” As a teen, Peter fixed up an old Chevy Nova he found, brakeless, in a junkyard, tracking down the parts needed to get it running again. Entrepreneurship also runs in the family: Peter and Paul gained their first work experience by helping their father at Trash-Away, and Peter’s wife also owns her own business, Wicked Z Dance & Fitness. The brothers know the value of hard work and working together as a family, and Peter’s outgoing personality complements Paul’s quieter temperament. 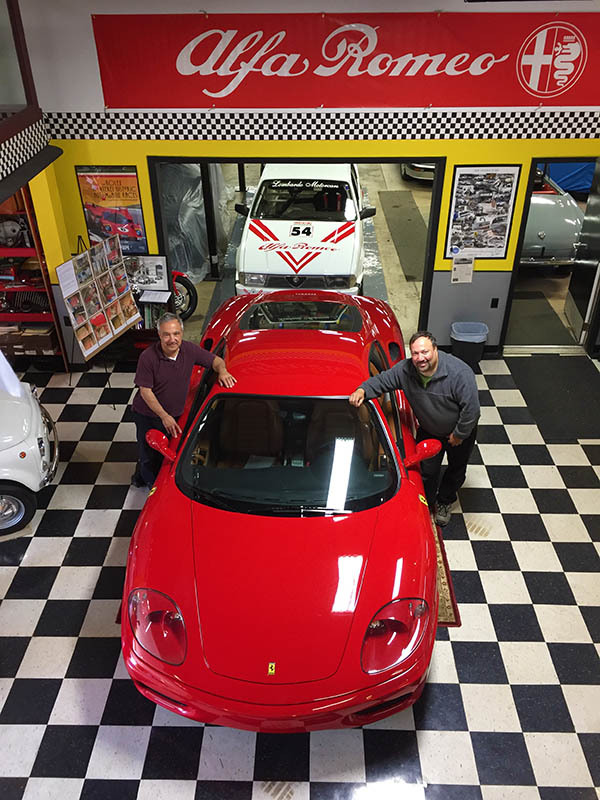 The importance of family in the Lombardos’ lives and their love for unique automobiles makes their connection with the Klingberg Vintage Motorcar Festival a natural one. They began attending several years ago. Says Peter, “We brought a few cars, and then Mark [Johnson] asked us to bring a group of cars.” That group of cars has grown into the Concorso of exotic and supercars you see at today’s show, thanks to Peter’s generous giving of his time and expertise. The Lombardos have also generously loaned Klingberg a Ferrari to display at the CT Business Expo and an open trailer to transport another vehicle to the CT Home Show last fall. When he heard that our Auto Restoration Program needed a parts washer, Peter volunteered a used one and then purchased a new one to donate instead. They have also become business sponsors of the Klingberg Motorcar Festival. Peter and Paul Lombardo are just one example of many who have helped children and families immensely, not by becoming therapists or special-education teachers themselves, but through their unique interests and passions, connecting with those in need simply by doing what they do best.